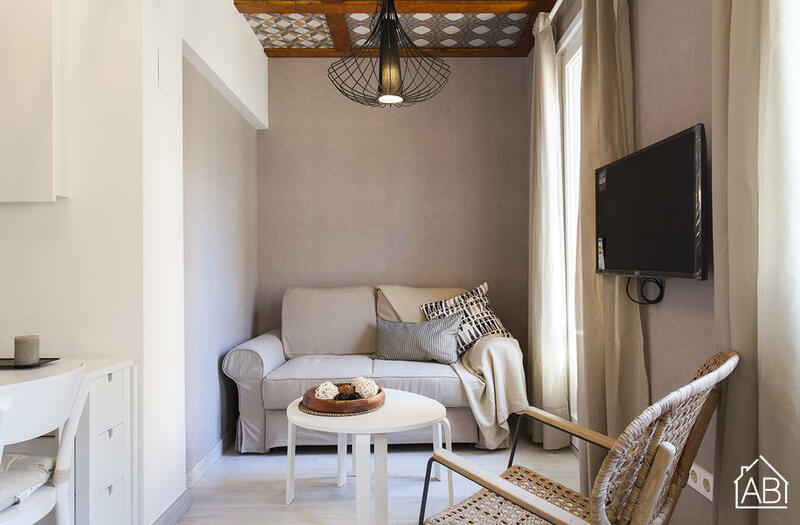 This beautiful one bedroom apartment, just a few steps from the beach is located in the Barceloneta neighborhood. Close to the apartment you will find plenty of places where you can eat out, shop or have a drink, and there´s a supermarket around the corner. There is also easy access by the public transport to the rest of the city, well as a cinema and shopping centre just 10 minutes away in the Port Vell area. In the living room you will find a comfortable sofa, and a TV. The modern bedroom has a double bed and an en-suite bathroom. This apartment comes complete with central heating and air-conditioning, as well as a washing machine and dishwasher for your convenience.